ElectroCoagulation (EC), the passing of electrical current through water, has proven very effective in the removal of Multiple Contaminants from water Simultaneously. The broadspectrum treatment effect allows ONE system to remove multiple contaminates. ElectroCoagulation is the distinct economical and environmental choice for meeting water treatment discharge standards and compliance requirements. Eliminating discharge fees and fines, harvesting resources, and significantly reducing water replacement costs, generally recover capital and operating costs. 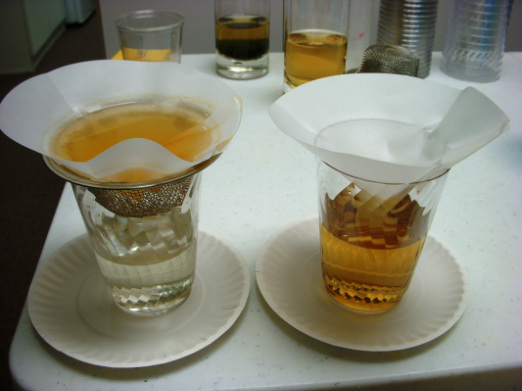 Left Cup is EC treated St. Johns River water to remove organics. Right cup is untreated St. Johns River water. 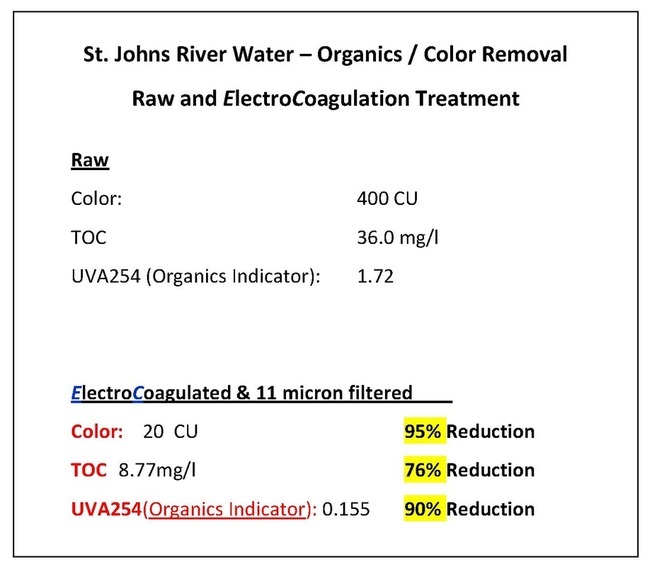 Color and Organics creating DBPs were reduced 95% for color and 90% for long chain organics as evidenced by UVA254 reduction.